Large round 18k yellow gold drops, hand fashioned in an intricate pattern resembling lace. 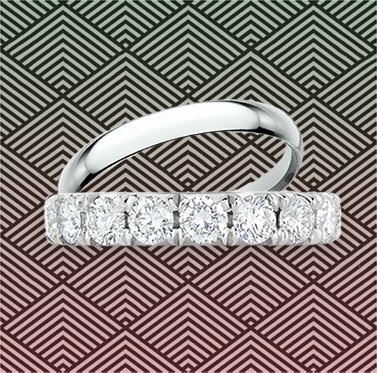 The settings are custom made for your diamond, which really does provide an unparalleled beauty. The quality is outstanding, the service was fantastic and we learned that there really are trustworthy people in the diamond business!